remarketing of your used objects - in 16 European countries. 1. What do we do? How did Motrada start out? You can learn more about our activity and our history. You can discover the values that are important to us in all our work. 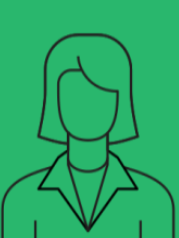 3. Who are our employees? 4. What's new with Motrada? The press is talking about us! 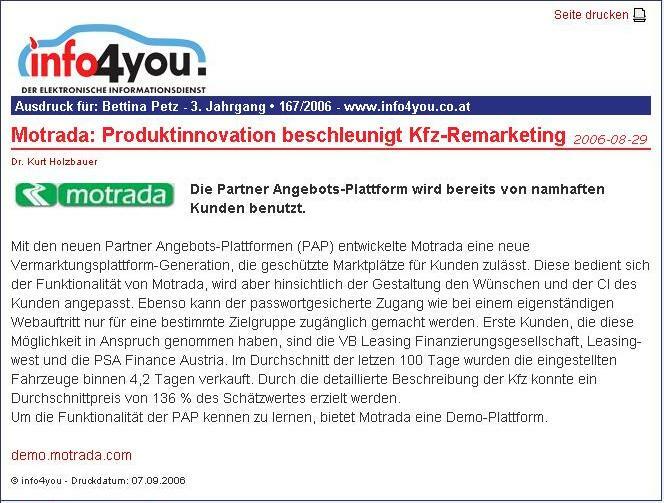 Motrada is an IT company which creates customized platforms for the remarketing of your used objects. 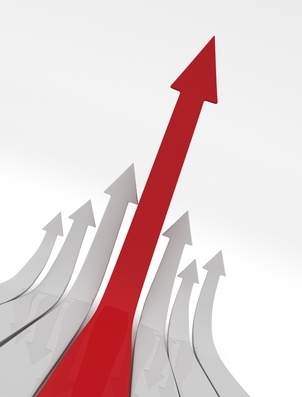 You will be able to optimize your remarketing process by saving time and money. We have platforms in 16 European countries. Most of our current customers are leasing companies, fleet managers and importers which use our sales tool to sell their used vehicles or other used objects quickly and efficiently. 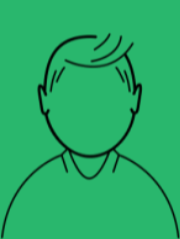 Our experienced developers use the most modern programming languages in order to offer you the most efficient remarketing solution, at the cutting edge of technology. 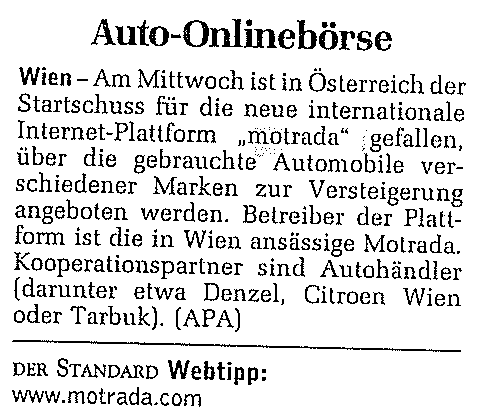 Motrada was established in Austria in 2005. Since then we have realized remarketing platforms in more than 16 european countries. The first platforms were specialised mainly in selling cars. Due to the continuous development of our software, we have now reached the point where basically every possible product category can be offered on our platforms. Increasing the variety of product categories and expanding to new countries are firmly rooted in our company's strategy. to local traders, while keeping full control and clarity on your remarketing process! platforms, 100% adapted to your requirements. quality for our products and services. We are a dynamic team with experience in the fields of used vehicles, software development and customer support. 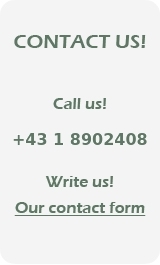 We are available to support you every work day, so do not hesitate to contact us!